I was at a gathering the other night. We were invited to stamp a word onto a strip of leather. Or perhaps the word we chose for 2018. And to permanently stamp it into leather, well, what will I choose? I took that as a sign. I decided to stamp Self-Control. It's my least favorite of the fruits of the Spirit. Probably because I consistently fail to control myself. But...Love has elements of self control. Even joy and peace require self-control. Patience and kindness, same thing. Self-control is the last fruit of the spirit mentioned and it seems pivotal to all of the others. As a child many of us were told, "Control yourself!" At precisely the moment when it was nearly impossible because we were so mad or upset or sad, that screaming or crying was all we could do (as a child). But what about the positive qualities of self-control? 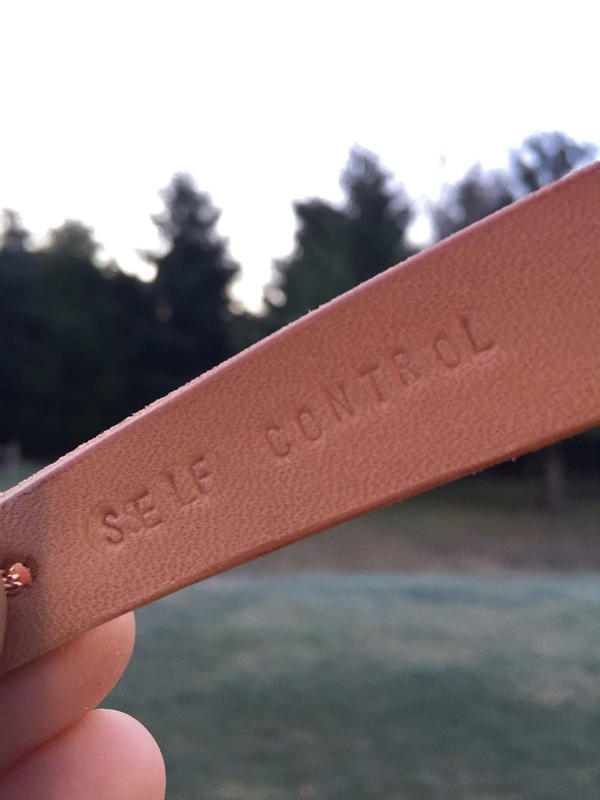 What about the fact that the only thing we can control in this life is ourselves? We have NO control over anything else. We can't control our kids, our spouse, our neighbor, our coworkers, our boss, our circumstances, our environment, our house, our job, disease, the weather...the list is endless. We control nothing but ourselves. The enemy is prowling around, paying very close attention to the crop of my least favorite fruit. Where self-control is plentiful, his power is diminished. Self-control isn't the finger-pointing, condemning fruit we make it out to be. It's power against the enemy! but how I can cultivate it in the nooks and crannies of my life and bind satan's condemning power in the process. when I don't overeat or overspend or say that thing I know I shouldn't. And celebrate the God-given GIFT of self-control. Which brings another word to mind...Perspective.